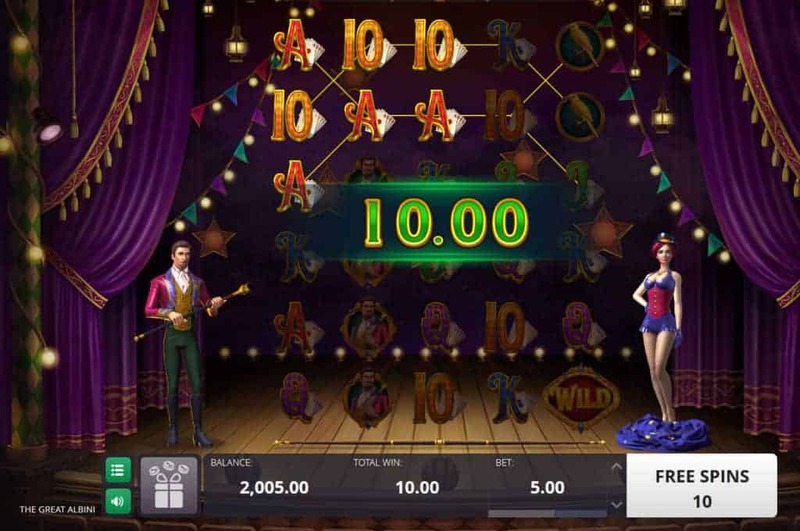 Everybody loves a good magic show and Microgaming delivers just that, with all the pizazz you’d hope for in its The Great Albini Slot. 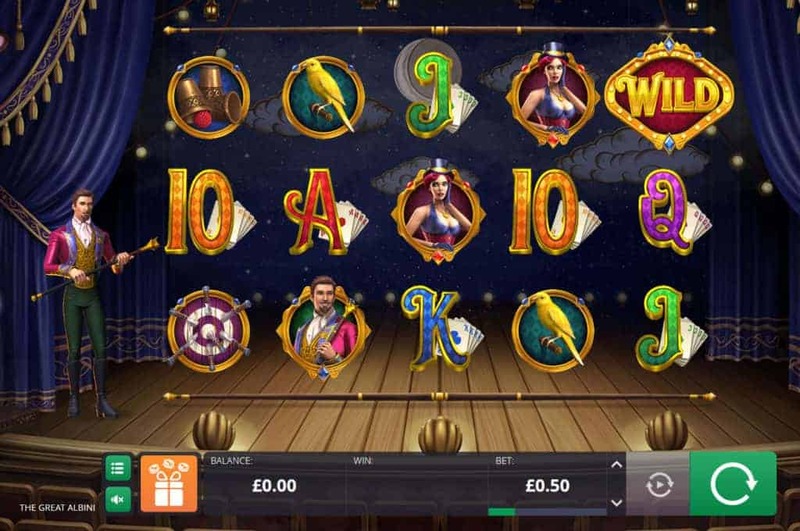 The latest release in partnership with Foxium, this slot takes us to the theatre for a show of a lifetime. And before we hear everyone groan and exclaim: “I don’t want to be near the front”, rest assured, this is one show you will want to be part of. For a magician to add the word “Great” in front of their name, they have to be made of special stuff. And that proves true on The Great Albini Slot as we’re treated to a magic show we will never forget. The main symbols are made up of traditional magic show elements, for example the Knife Target, Birds, Hidden Balls in Cups and the Great Albini himself appearing as the top paying symbol which can appear stacked. The card suits 10 to Ace also make an appearance, and even their guises have the magic touch. 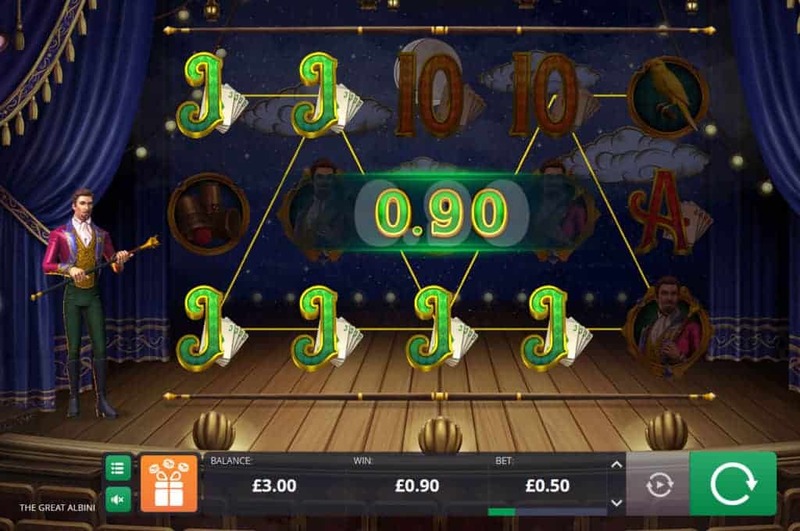 We first play across five reels and 25 pay-lines but, during the main act of the show, the magic man will increase it to a 5×6 format with 50 pay-lines, giving us more chances to conjure up wins. With each spin the Great Albini acts as the slot’s mascot to the left of the reels and performs card tricks and other illusions. It’s almost as if he’s helping us get those winning combinations. No good magic show would be without a mystery box. And as this is a great magic show, we get loads of them! In fact, if we hit the Mystery Box symbols in a full stack on the third reel, we trigger the Mystery Box feature. Now we enjoy three Re-spins with the Mystery Boxes locked in place. The spins continue until all positions on the reel-case are covered with Mystery Boxes or no further boxes land on a set of three Re-spins. 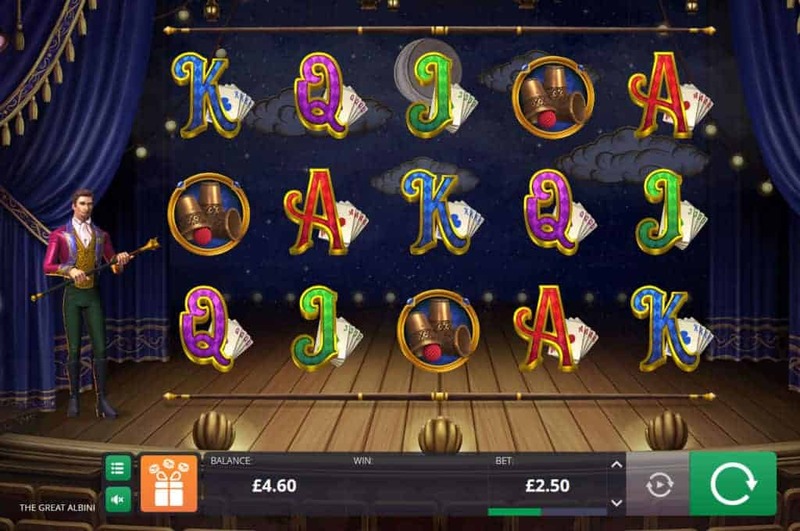 A random symbol then replaces the boxes and we land a whopping payout. And that’s just a small trick. Better than this, the main act of the show, is when we reveal Bonus Boxes on the second, third and fourth reels. 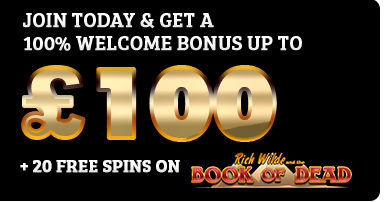 We get 12 Free Spins and those 50 pay-lines Albini promised us. Then Lily, the magician’s assistant, turns into a Stacked Aztec Lady Wild. 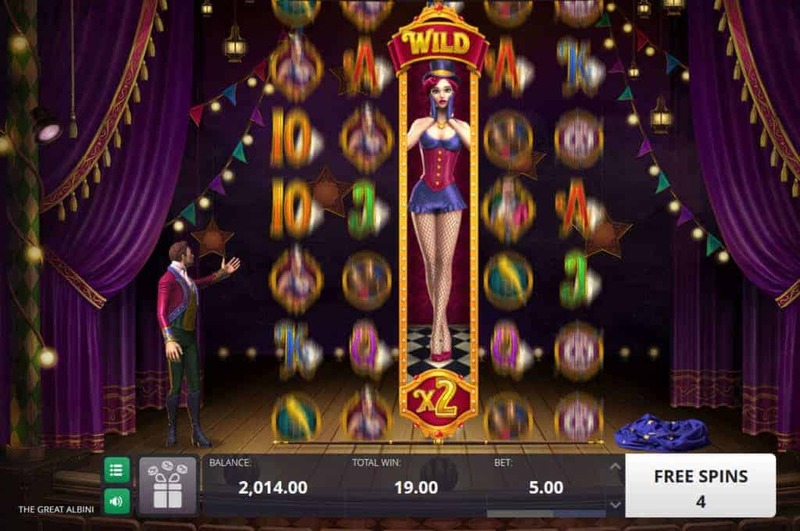 We then goggle as Re-spins with a x2 Multiplier afford us the chance to win up to 4,000 times our bet. If that’s not magic, we don’t know what is. We’ll admit, the name Alibini doesn’t exactly roll off the tongue. Is it meant to be based on Einstein? Is he an albino? What’s the deal? We can easily forgive all that, however, as this Great Albini Slot is…well…it’s magical. We get front and centre seats at an epic show and the best type of audience participation – the one that can massively multiply our bets. And our payouts.